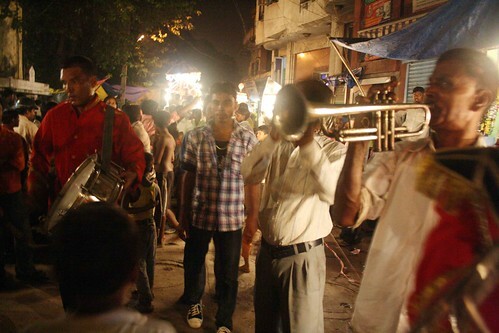 The Delhi Walla was walking one night in Nizamuddin Basti, a 14th century village in the heart of the city. 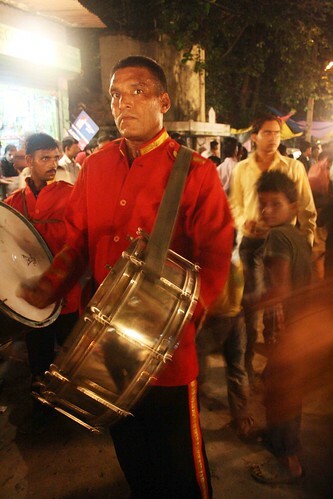 In front of Baoli Gate, one of the two entrances to the sufi shrine of Hazrat Nizamuun Dargah, a wedding procession was slowly making its way into an alley. 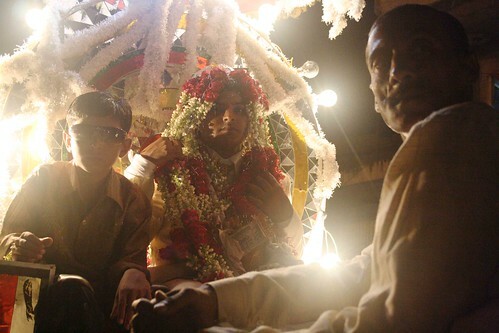 The dulha, or the bridegroom, was on a horse carriage. His face was hidden behind the sehra, a veil of flowers. 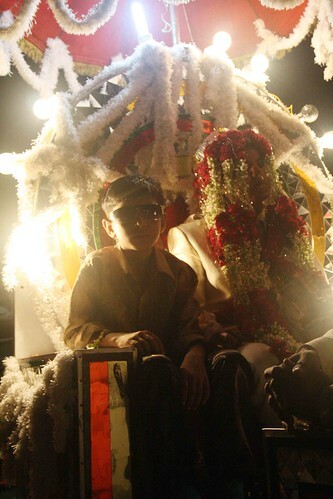 The best man – a little boy wearing glares – was by his side. They were sitting on what looked like a modern-day peacock throne. Instead of gems and diamonds, the throne’s backrest was decked with garlands and electric bulbs. 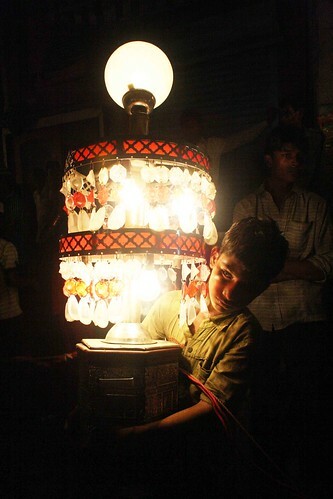 On both sides of the street, a dozen children were carrying hefty electric lamps in their arms. 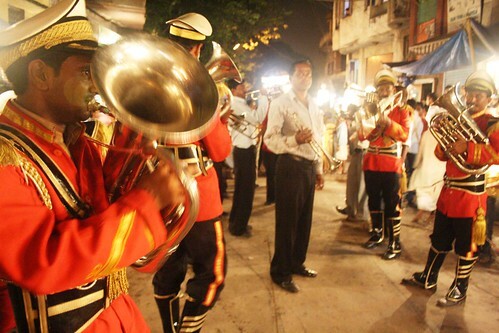 They surrounded a band of musicians in red jackets and black trousers, who were playing the tunes of Bollywood song Munni badnam hui. A few young men, possibly the dulha’s friends, were dancing. I walked to the dulha and asked for his and his would-be wife’s name. Moving apart the strings of flowers from his face, he replied but the music drowned his voice. I asked again. Just then the carriage galloped, disappeared into a turning and left the street empty. The music was still echoing. It was a beautiful moment. one more bites the dust…poor fellow…he will miss his bachelorhood.